NEW YORK — Two devices currently under development will reinvent the way buyers tour listings, according to Dave Eisenberg, CEO of 3-D provider Floored. The first is Oculus Rift, a virtual reality headset. The device will let users explore homes remotely by making the virtual 3-D models that have stoked buzz in the industry dramatically more immersive, Eisenberg said in a presentation at Real Estate Connect on how to understand and use 3-D technologies . The second, Microsoft’s HoloLens headset, will help real estate agents tailor home tours to buyers by allowing users to project holograms of furniture onto homes when visiting them in person. 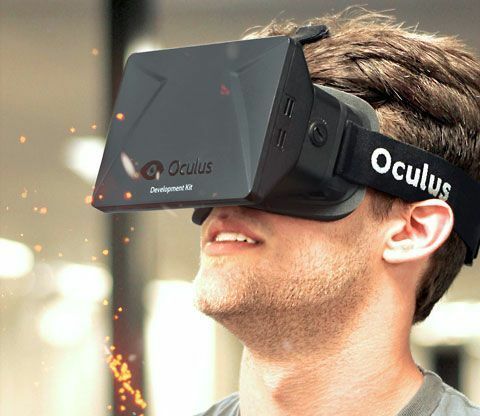 Oculus Rift, which Facebook acquired last year for $2 billion, is expected to release its first virtual reality headset to consumers this year, and is already powering a $200 pair of VR googles recently unveiled by Samsung. People without prototypes of such devices can view them only on screens, offering a restrictive 2-D experience of a 3-D representation. But virtual reality gear, such as Oculus Rift’s headset, can virtually transport users into a home so that users feel as if they are actually there exploring it in the flesh. Facebook CEO Mark Zuckerberg has said that he sees virtual and augmented reality as important parts of a “new major computing platform” — an innovation of the same magnitude as smartphones that comes around only every 10 or 15 years. Real estate observers envision real estate brokers strapping such headsets onto buyer clients to let them spin through listings to determine which ones to visit in person. “We really think it’s the reinvention of how you’re going to be able to give tours,” Eisenberg said. The other product that Eisenberg believes will spice up the way people explore homes will enhance the experience of visiting properties in person. Microsoft’s HoloLens headset superimposes high-definition holograms over physical places, spaces and things. That could allow real estate agents to customize showings based on a buyer’s preferences and background, and immediately resolve many questions regarding a home’s furnishings, décor and layout. Consumers could immediately swap new furniture into a living room, install appliances in the kitchen or switch up the color schemes of bedrooms using HoloLens. 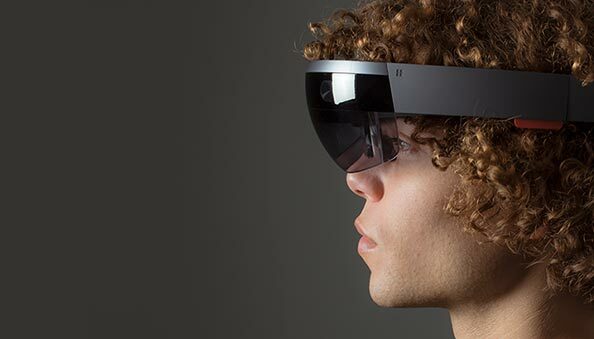 Microsoft recently unveiled the headset to much fanfare, but has not specified when it plans to release it to the public.